Should we feed our wedding photographer? First off then, what’s an unplugged wedding? Well, it’s usually a wedding where the guests are asked to leave their cameras at home and trust that the professional they hired will take the photographs that are required. Some people say a wedding should only be unplugged for the ceremony though. 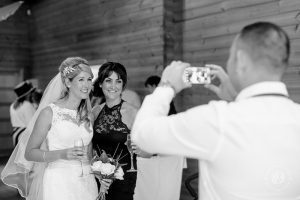 The common theme though is that people don’t want cameras getting the way and they want their guests to chat, laugh, smell the air, look around at their surrounding and engage – rather than just staring at a screen. Why should you have an unplugged wedding? 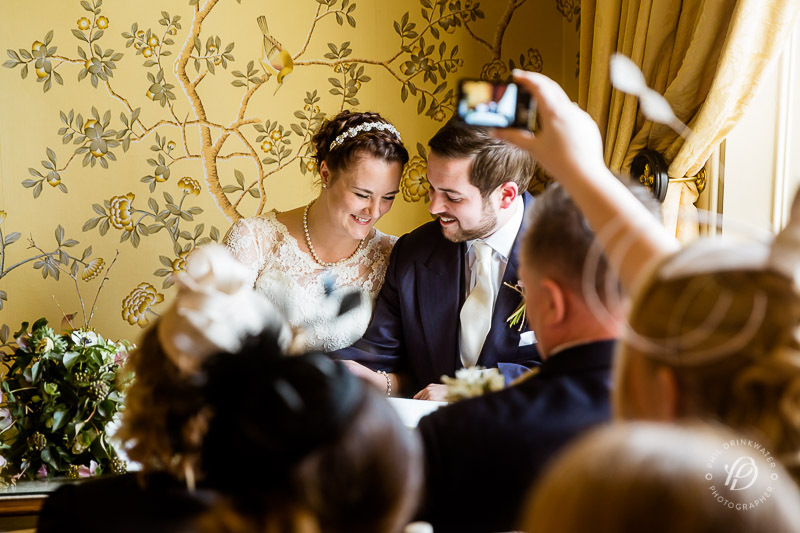 Well, there’s no doubt that at certain points of the day, guests with cameras can be an issue to me delivering you the best set of wedding photographs. I regularly have to ask guests to move in from the aisle just before the couple walk down since they all put their cameras out and start to take photos. That means my photos of you walking down the aisle is you in the worlds biggest Paparazzi shoot! Sometimes peoples flashes ruin my photographs too. If you search for “unplugged wedding” and click on “images”, you’ll find plenty of examples. The other time when it can become an issue is with group photographs. If your guests are stood behind me taking photos, people will naturally look at other cameras and I’m stuck having to copy heads from one place to another to get a photo where everyone is looking at me. Not the end of the world maybe, but it just looks like I wasn’t paying attention and I have the highest standards. Why should you not have an unplugged wedding? With everyone talking about why to have an unplugged wedding, I thought it’s important to be a little balanced on the subject and discuss why you should not follow this trend. Firstly, pictures of guests taking pictures of you is part of modern weddings. I think it shows that they care about your day and they want to remember it. Of course you’ll have my photos and you can give them to your friends and family, but how many people really do? Secondly, people like taking photos. It gives them something to do and makes them feel part of your wedding. They probably haven’t seen some of your guests for years and they’d like photos with them. 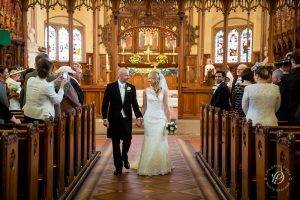 Well, as a photographer I’d love for guests not to use their cameras when you’re walking down the aisle. I’d also love for people not to stand behind me and take photos of the groups. That said, I think I’d miss the smile on peoples faces when they take a photo of someone they care about and haven’t seen for years. I mean.. in the end that’s why you’ve got me there, isn’t it? Because photos are important.